You know a city has come of age when they repurpose a classic piece of their history. 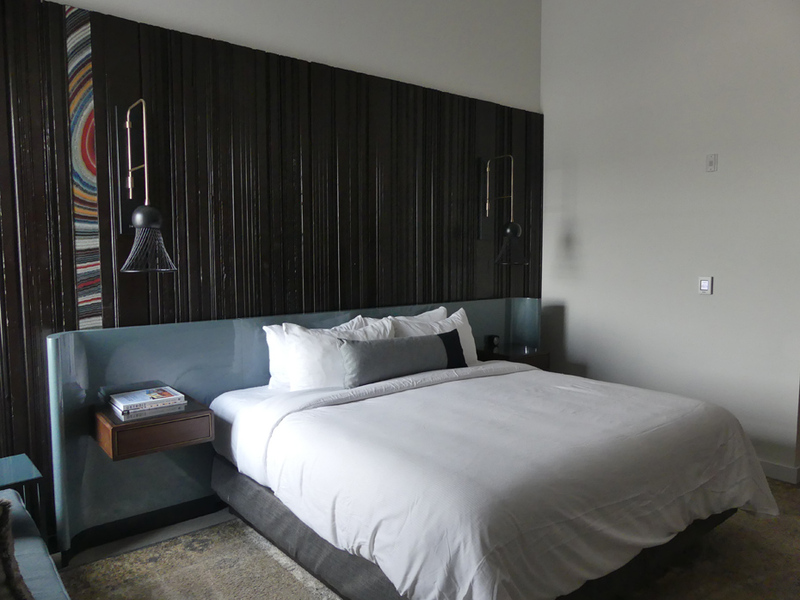 Detroit has done just that with the new Foundation Hotel. 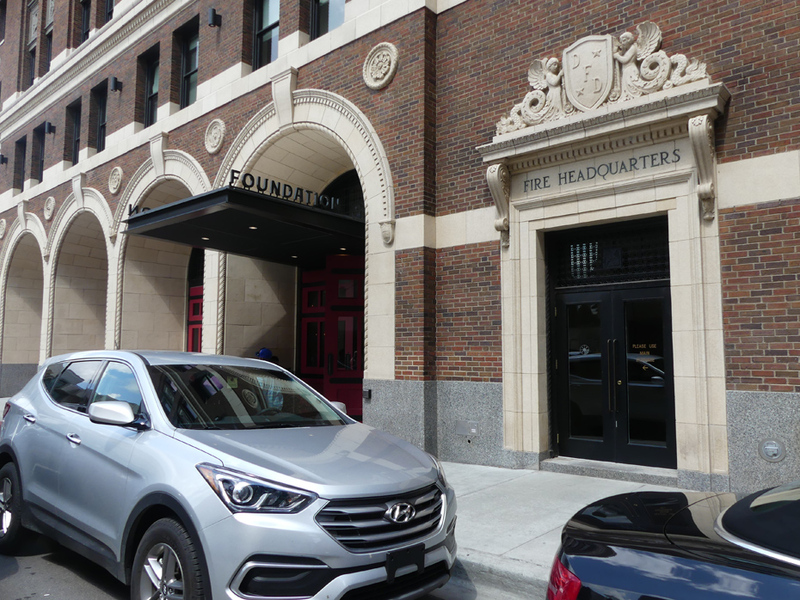 It opened the 100-room boutique hotel in May 2017 in what was once in the Detroit Fire Department headquarters. The building that is now the hotel was built in 1929, but this location housed fire equipment from 1840 until the Detroit Fire Department abandoned it in 2013. 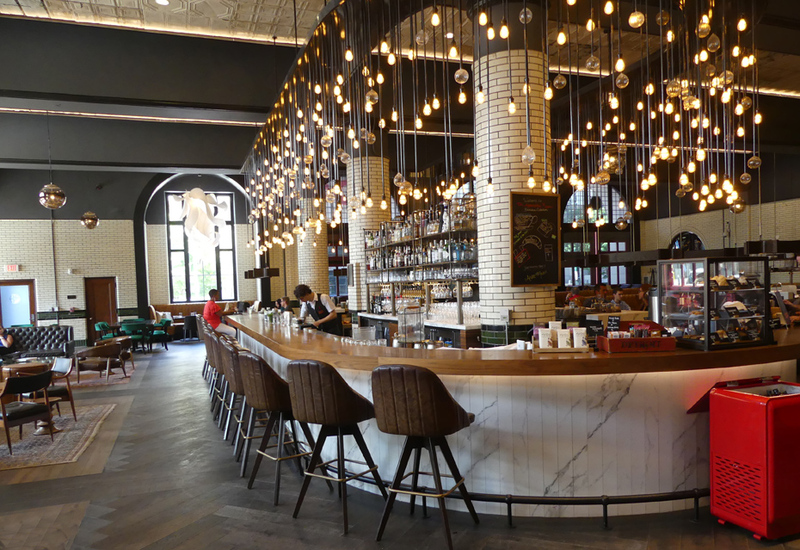 The end result is a blend of museum, art gallery, upscale dining and lodging with a touch of a local hangout. There is a very open feeling when you enter the Foundation. The friendly lobby is tiny; more like a single desk with a greeter. 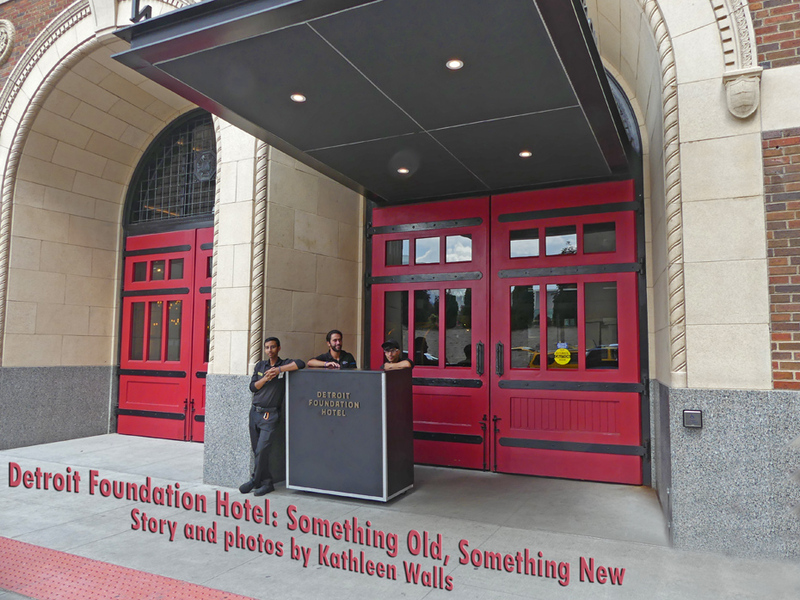 It opens into The Apparatus Room; the hotel restaurant that was once was the garage where the fire trucks parked. If you want to bike around town, the hotel offers you complimentary use of Detroit-based Detroit Bikes. 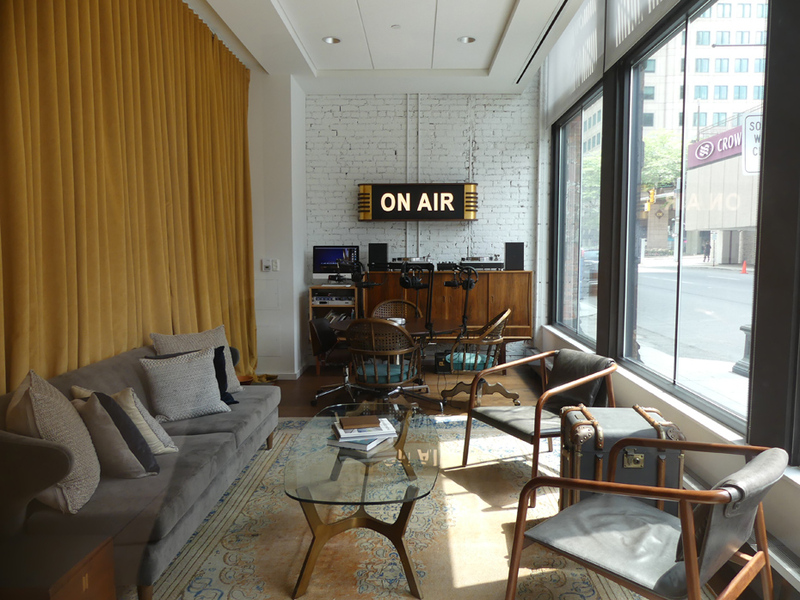 Should you want to broadcast a podcast, Foundation Studio for podcasts is located in a room adjacent to the lobby. 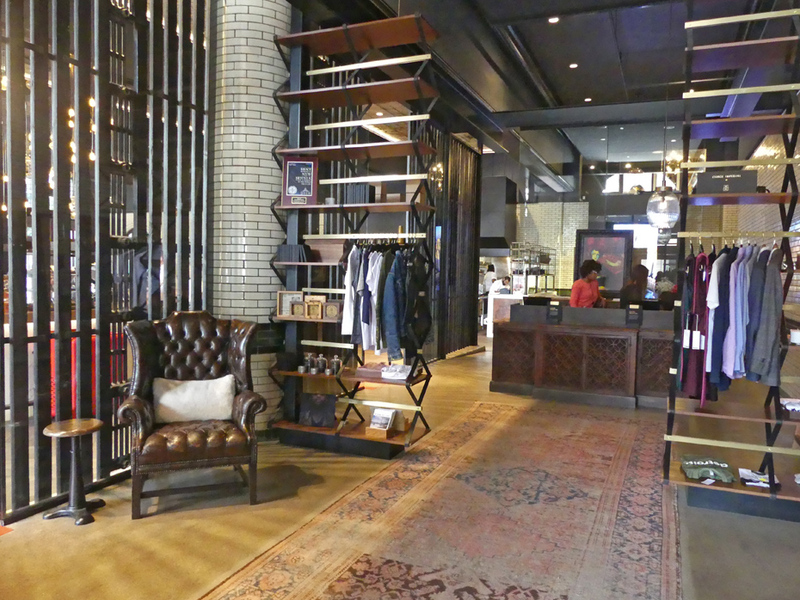 If you need to do some quick shopping, the lobby has a small retail showroom offering various local products. Upon entering the lobby, you feel like you stepped into an art gallery. There is artwork by various local artists starting in the lobby and throughout the hotel including in your room. One of the most unique pieces is by Kim Harty of the College for Creative Studies. She calls it "Cumulus." Step back behind the reception desk to a hall and look upward. 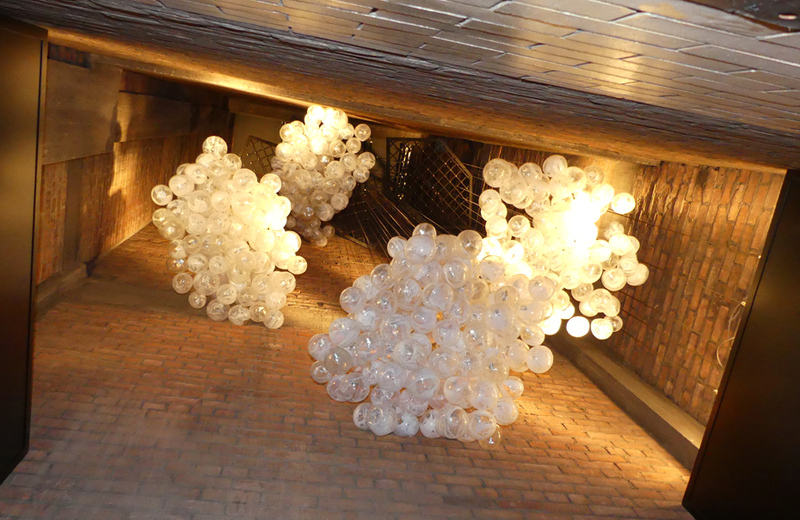 It's a glass light fixture hanging in the shaft where firefighters once hung fire hoses to dry. It's light and airy and gives the feeling of cumulus clouds floating in a blue sky. The rooms range from Junior King to Commissioner Suite with a spacious 967 square feet. All are a classy mix of ultra modern and parts of Detroit's history. The wall behind my bed was made of refurbished wood panels from the old fire station and artwork made from remnants of salvaged car paint from Detroit car plants. They all include wide screen tv, free wifi, a safe, and an in-room bar. The fitness center is open 24 hours and there is free car service within a three mile radius during daytime hours. The hotel is even pet friendly. Foundation Hotel was named "One of the 100 Best New Hotels in the World" by Condé Nast Travel and Time Magazine's "100 Greatest Places" in 2018. The only thing I missed in the room was a coffee maker. I drink tea but often use the coffee makers with a tea bag. They make up for the lack with a unique offering. You will have a couple of auto fuses on your desk. Just take them down to the restaurant for a complimentary cup of coffee or tea. You get a pair of new fuses each day. 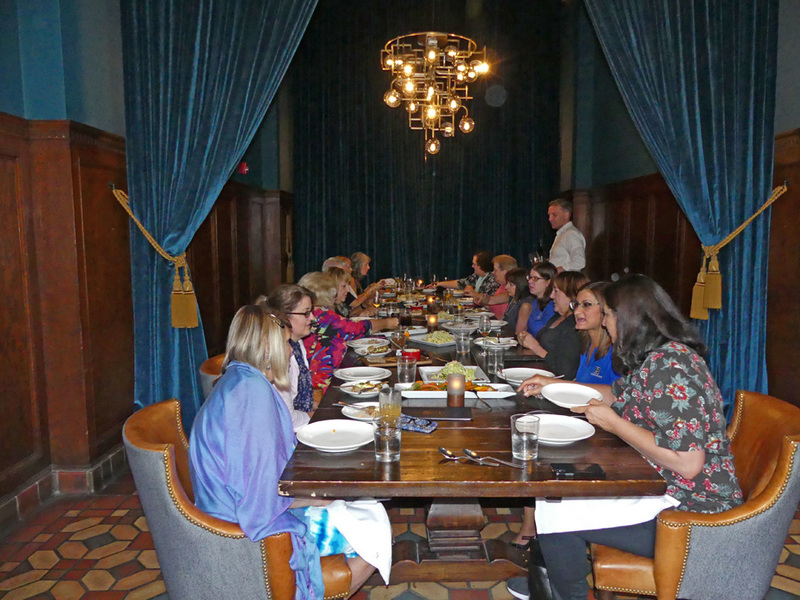 Dining in the Apparatus Room is an unforgettable experience. The refurnished fire station arched doorways are topped by glass arches and the fixtures are multiple hanging lights so the room is bright and cheerful. The restaurant is presided over by Executive Chef Thomas Lents, a Battle Creek, IL native. Chef Lents is a two-star Michelin chef who left Chicago's Trump Tower fine dining restaurant, Sixteen, to return to his native state. For an even more personal experience try the Chef's Table on the second floor overlooking The Apparatus Room. 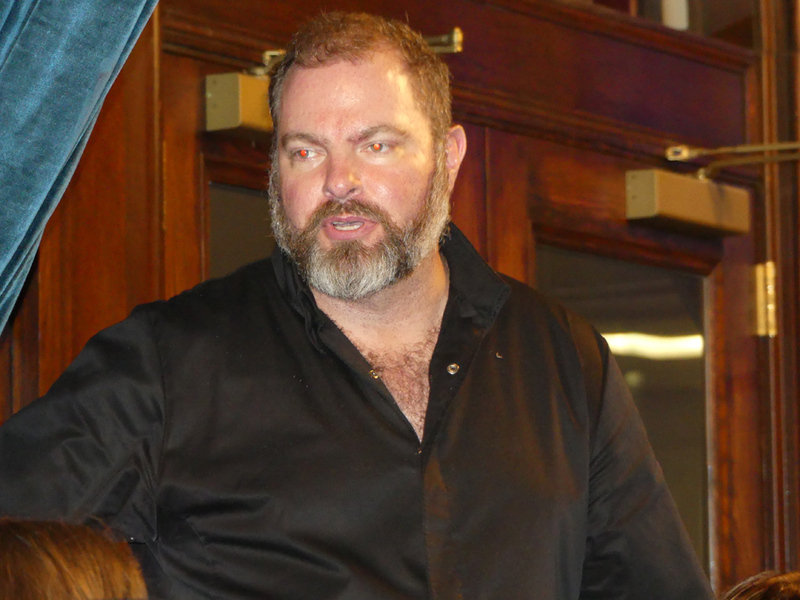 Chef Lents also plans to provide an incubator for upcoming chefs. When we asked why he returned to Michigan, he told us, "I had a illness that gave me some time out and prospective and I came to the realization of what was more important to me was being able to impact the community rather than chasing stars. I wanted to be in an area where I could make a difference. And maybe develop the next generation of great cooks here. I picked a very good time to come back. Earlier as a cook from Michigan you always had to leave Michigan to hone your skills. That would give me more satisfaction than chasing that third star." Parts of The Apparatus Room offer a more private dining experience. The main portion is open and encourages comeradery. By day it is a perfect bright setting for breakfast and lunch. At night is is dimmer and cosier. Local bands preform encouranging visiters to dance and have fun. 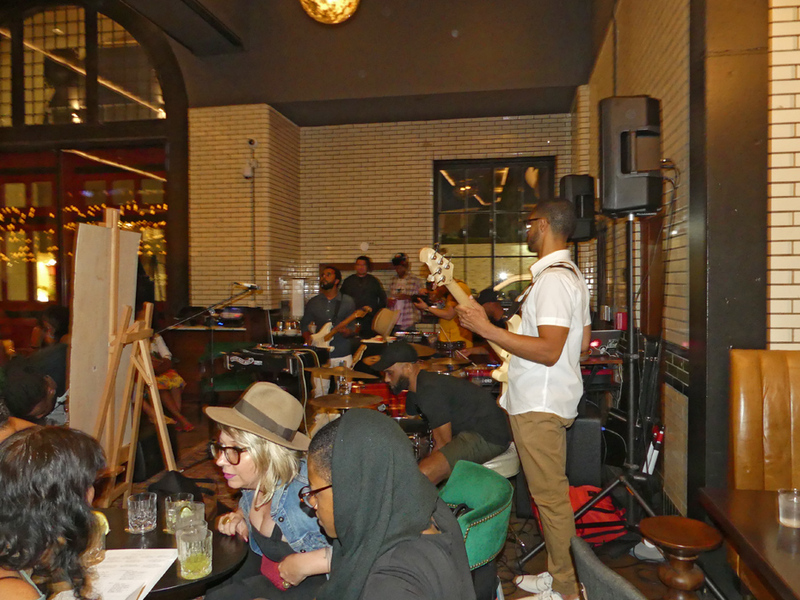 Local artists create paintings while diners and partyers look on. After enjoying his meal, I wouldn’t be surprised if he still manages to earn that third star. An award winning chef in an award winning hotel is a double whammy for Detroit.